Geeklings, how’s it going? If you’re currently living on the east coast then I assume that it’s going hot. In no way is that a true complaint considering that only a couple of weeks ago it was cold and rainy, I’m not one of those people who looks a gift horse in the mouth. Part of my love for the summer is the heat, minus humidity as I can’t stand that shiz, but you have to be willing to roll with the punches. With this heat though comes the fact that the Fortress of Nerditude is basically an oven. We live upstairs, and as we all know, heat rises (#science) which gives the Fortress this almost oppressive like manner. It’s really fun walking into. Like a hot fart to the face. Don’t worry, we’ve got the a/c cranking and Hudson the Cat has plenty of cold water but damn, I’m not used to sweating while I type. 1. Ant-Man and the Wasp– The first MCU movie since Infinity War is here aaaaaaaannnnndddd I’m willing to bet that it has almost nothing to do with the events of the third Avengers movie. Based on the trailers it seems that Ant-Man and the Wasp will be picking up shortly after Civil War and dealing with life after the airport fight for Scott Lang. I also fully expect Hawkeye to show up here because we learned in Infinity War that both he and Scott cut deals after they were captured. From there what should we expect? I’m thinking a standalone film that is the exact opposite of Thanos snapping his finger. Something light and fun that opens the door to how the remaining Avengers can defeat Thanos. My money is on the Quantum Realm but I’m not entirely sure how it’ll fit in. If I was a betting man I would wager that we see someone dissolve (Hank Pym anyone?) around the post-credit scenes to connect the two films, but outside of that if you’re hoping for more Infinity War I don’t think this is your film. I would love if the post-credit gave us our first official look of Captain Marvel but I’m not holding my breath. This could be the MCU equivalent of a hug to recover from the events of Infinity War, but I have a feeling everyone is just going to want Avengers 4. 2. Batman #50– Since Tom King took over DC’s flagship Batman title he has been building to issue fifty. The wedding we didn’t know we wanted. Often time superhero marriages are quite the gamble and can often time seems like cash grabs. Up until Marvel crapped over Peter Parker and MJ’s vows I would say there were only a few marriages that actually stuck. We’ve got Reed and Sue Richards, Luke Cage and Jessica Jones, Superman and Lois Lane (they’re married, right? ), but Batman? Getting married never seemed like it was in the cards for the Batman, he does have, umm, some trust issues, but Tom King took the relationship between Catwoman him and made it work. Like, a lot. I’m not entirley sure when it happened exactly, maybe on a rooftop somewhere in Gotham, but I fell in love with Catwoman and the way she transformed Batman. Showed that there is a heart under all that “I Am the Night” darkness. I’ve felt all along that this wedding wouldn’t go off smoothly, it’s Batman afterall, and I’m afraid to how things are going to turn out. They don’t have to get married but I’d hate to see Catwoman die or something like that. Especially with the Joker lurking around. An event that turns her against Bats? I’m all for it, as long as it serves the story. But don’t break my heart, Tom King. I’m fragile. Oh, with the issue coming out on Wednesday please be careful. Advance reviews are circling the interwebs and are full of spoilers. You’ve come this far, don’t get spoiled. Just wait for New Comic Book Day. 3. Better Call Saul season four trailer- I know, I mentioned Saul last week, buuuuut we got ourselves an official trailer now in the wake of Entertainment Weekly posting pics of the Breaking Bad reunion. Can you believe it’s been ten years since the show first aired? Damn. If you find yourself missing the Breaking Bad universe then you need to do yourself a serious favor and get into Saul. You won’t be sorry. Season four looks to up the tension as we get closer to Jimmy’s full transformation into Saul and learn more on how Gus took over the meth market. Not to mention we’ve got those black and white openings that touch on life after Breaking Bad. There is a lot to be excited about here. 4. 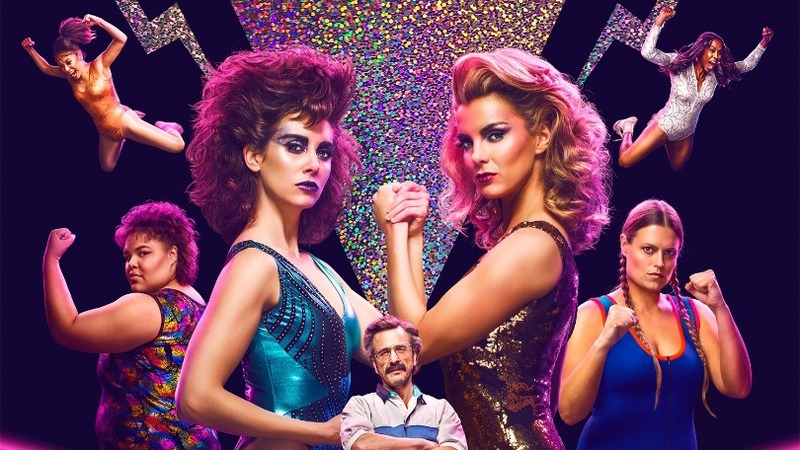 GLOW season two- This one should really have been on last week’s edition but I forgot. I like to believe that I’m pretty in touch with most things pop culture related but even one or two things can slip through the cracks for yours truly. GLOW season two was one of those things, but I’m making up for it this week. As I mentioned last week in my summer binge piece, I have yet to start GLOW but it is currently sitting high on my to binge list. Right there with Fargo season three and Luke Cage season two. Man, vacation can’t get here soon enough. Just because I haven’t started watching yet doesn’t mean you guys aren’t watching. So in case, you didn’t know, GLOW season two is out on Netflix right now. There you have it Geeklings, all the best stuff to look forward to this week. Did I leave anything off? Let me know with the comments What are you the most excited about this week? Don’t be shy. If you want to geek out together you can also find me on the Twitter @iamgeek32. Let’s chat it up and get our geeks on.